Home » Blog » Teaneck, NJ FT Town #21 Puts Jersey Back on Top! Teaneck, NJ FT Town #21 Puts Jersey Back on Top! The Teaneck Team receiving their certificate. As the 4th NJ FT Town, the state is back in a tie with MA as the states with the most FT Towns. A visit to a local florist 18 months ago aroused my interest in Fair Trade, but it was the conversation with the proprietor that impressed me most. We both recognized our common commitment to thinking globally and acting locally – in retrospect, the seed of a nascent collaboration. We started to invited others to join us in what became the Teaneck Fair Trade Steering Committee. What impressed Tim Blunk and I was the quality of volunteers who expressed a desire to join the campaign – folks who showed a concern for our world, expressed a commitment to social activism and justice, and understood the value of grassroots team work. The energy on the committee was infectious, and soon each of us fanned out to the community to recruit Fair Trade providers and other committee members. 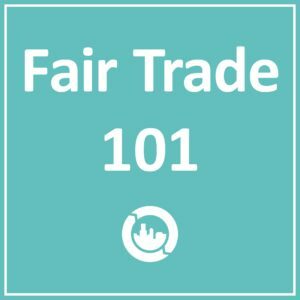 Keeping a “Fair Trade Scorecard,” we could observe our progress toward meeting Fair Trade Town requirements every time we met each month. In the process, we became inspired by the response and depth of our neighbors, people whose busy lives never obscured their personal quest for making a tangible difference in other peoples’ lives. 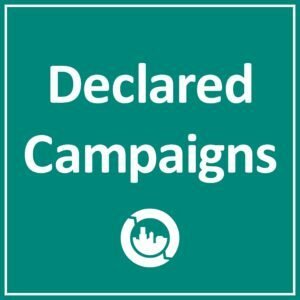 Along the way, local newspapers and social networks took an interest in this intriguing campaign that had everything to do with the role of small USA towns in the remote affairs of farmers and producers in the developing world. Once the Teaneck Chamber of Commerce caught wind of our momentum and got behind us, we knew that our campaign made the transition from a buyers’ to a sellers’ market: retailers and nonprofits started coming to us. On October 21st, Teaneck became the 21st USA Fair Trade Town. We made the formal announcement at the Chamber of Commerce’s annual community awards dinner. The response was heartening and validated our efforts. The business men and women in attendance were delighted to learn that their community was now “branded” as an ethically committed business zone, and they were assured that their enterprises, by joining the Teaneck Fair Trade campaign, would receive much-wanted exposure and our committee’s dedicated support. In November, Fair Trade Teaneck will sponsor the screening of “Black Gold” in the Teaneck International Film Festival. Festival organizers asked us to organize a Fair Trade panel afterward for what they anticipate will be an audience full of interested and committed citizens.